Rick wanted to believe that his battles would end in Vietnam, but 50 years later, he’d begun to lose hope. A fourth-generation Marine Corps veteran and three-time Purple Heart recipient, Rick has struggled with Post-Traumatic Stress-induced flashbacks and violent nightmares since leaving the service in 1972. During the Vietnam War, Rick was assigned to the B Company, First Battalion, Ninth Marine Regiment in Khe Sanh, an area that, in 1968, saw 77 consecutive days of combat. His 165-person unit was hit with fire on a mission to clear caves on a hill, and in the course of two and a half hours, only 13 men survived. “I thought I had died,” Rick remembers. After 18 months of intense rehabilitation he re-enlisted, though the training–which included carrying an 80-pound pack up a 10 mile hill–was nearly impossible with the pain he now felt from shrapnel damage to his legs. Nevertheless, Rick persevered and went on to serve another three years, attaining the rank of staff sergeant. When he returned to the States, he worked as a correctional officer, married and settled down in Queens, but, just a few years later, lost his wife to cancer. He stayed in their home for 10 more years until the landlord sold the building, leaving Rick with nowhere to go. In pain, physically and emotionally, he began to self-medicate with drugs and alcohol. At a breaking point, Rick turned to the VA which placed him temporarily in a homeless shelter until transferring him to his current home on East 119th Street. Rick’s PTSD-related symptoms and his health problems worsened to the point where he didn’t care if he lived or died. Finally, at the urging of friends, Rick entered rehab. It wasn’t easy, but he got clean, sober, and was hopeful for the first time in years. 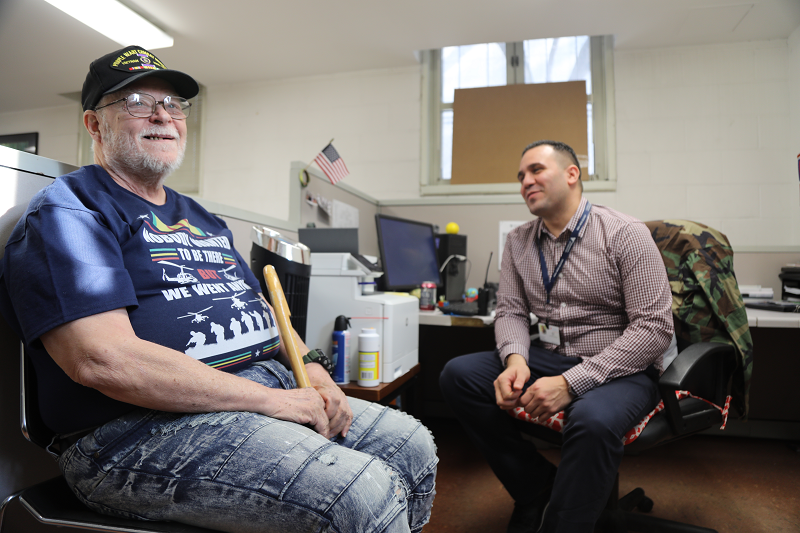 When he returned to his apartment at East 119th Street seven months later, Volunteers of America had taken over management of the building and all of the services provided to the residents–174 formerly homeless servicemen and women. 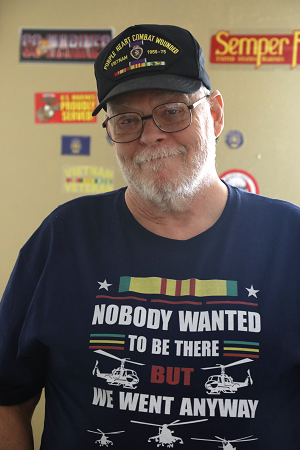 Rick– or “Pops” as many of the younger veterans call him– has developed many special relationships with both residents and staff. The maintenance staff at East 119th Street Veterans Residence even refreshed his room as a surprise, repainting and installing a shelf where he proudly displays his Marine Corps memorabilia. Recently, Rick was invited to participate in the first class of VOA-GNY’s new Spiritual Resiliency Training (SRT), a week-long peer-facilitated retreat that helps veterans battling moral injury. Unlike PTSD, moral injury is not a fear-based disorder, but rather damage to one’s core belief systems and basic moral character, manifesting itself through negative emotions like guilt, shame, despair, alienation, betrayal, self-condemnation, and outrage. Feeling safe, supported, and surrounded by “comrades in arms,” at SRT, Rick was able to unpack difficult memories and emotions that he had never shared with anyone. Learn more about moral injury and what VOA is doing to help.